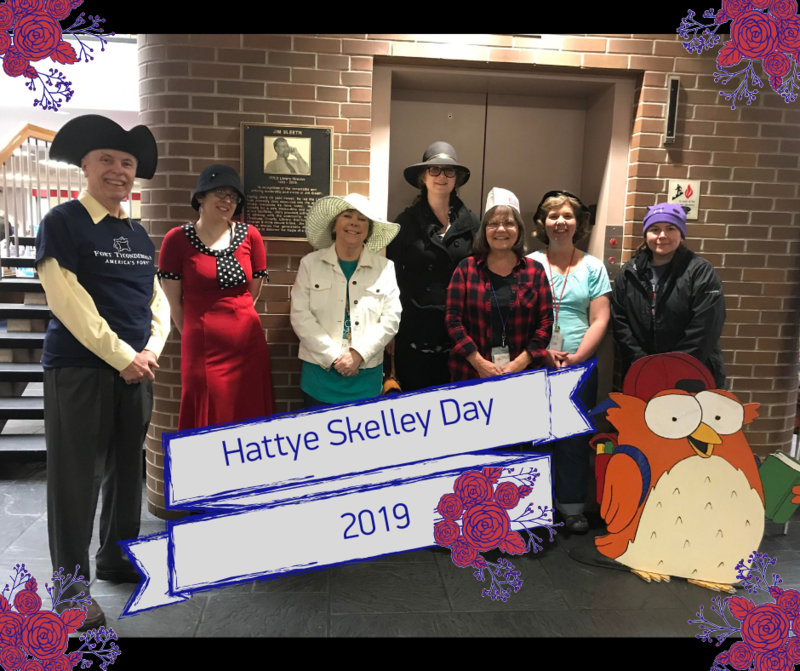 We are celebrating Hattye B. Skelley Day at the Steele Memorial Library. In honor of the day, library staff members will be wearing their favorite hats. This entry was posted in Community, Genealogy / Local History, Steele and tagged HattyeSkelley by Maggie Young. Bookmark the permalink. 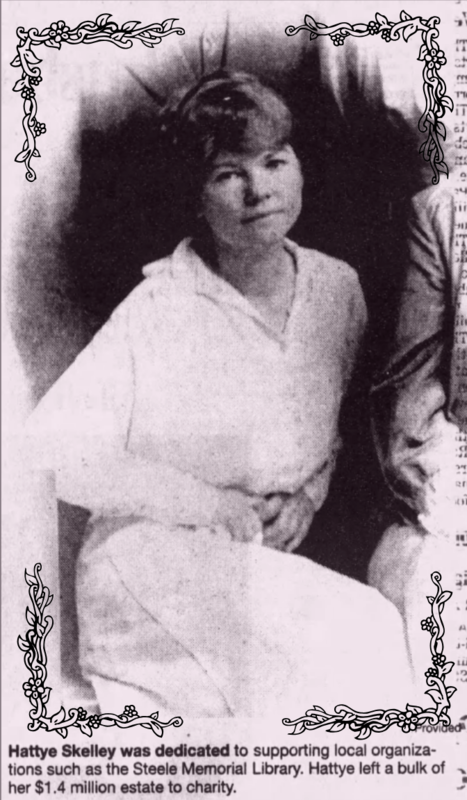 Thanks for researching Hattye , as she is a little known woman. How did you first find out about her ? Additionally, there is a Neighbors column in the Star Gazette with more about Mrs. Skelley that we did not refer to in this post. The Library has been celebrating Hattye Skelley day since the surprise donation in her will. Next → Next post: New Seeds for the Seed Lending Library at Steele!